SKU: CE293312 Categories: Easter, Orange, Bunting Flags, Construction / Big Rig, Lemonade / Bake Sale, Rainbow, Science, Spooky Halloween, Tiger, Big Bang Theory, Lemons & Limes, ON SALE! The lovely Polkadot Bunting Flags ~ Orange are a great decorating option. It is made from thick card so you can use it over and over and it will still look great; or use it to decorate a nursery or play space after the party. 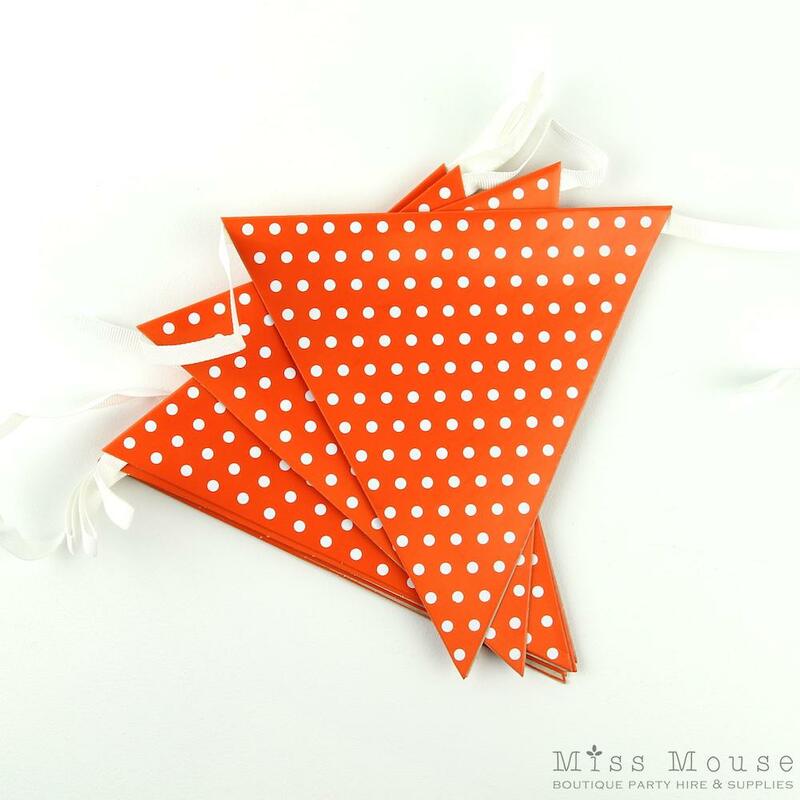 Orange with small white polkadots, this is a very bright bunting! Each flag is 11 cm wide and 15 cm long. There are 9 flags per bunting which measures 2.7 m long. Pack size: 1 bunting, 9 ft long.